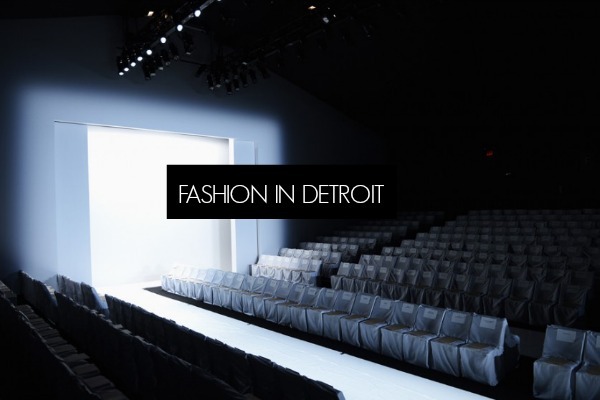 Sponsored by MotorCity Casino Hotel’s Sound Board, Dodge, Somerset Collection, and Joe Faris, Fashion is Detroit is one of Detroit’s largest runway presentations and this year I was actually invited to attend and cover the show as a blogger by StyleShack! This was my first year going and I was super excited to go. I didn’t know what to expect and was pleasantly surprised. 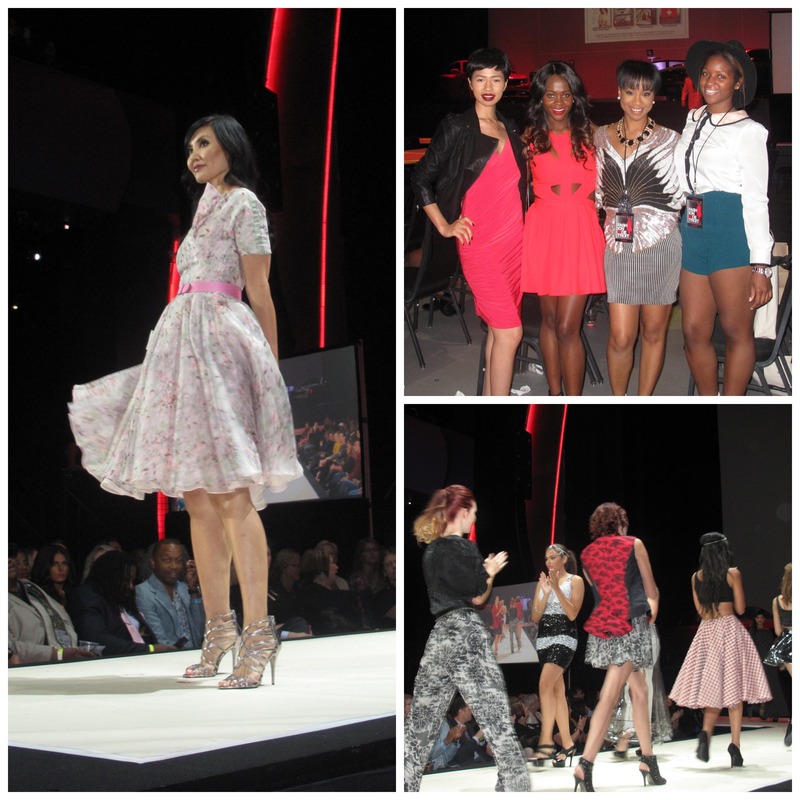 I loved how the show featured both local and national designers. One of my biggest highlights was being able to view Adam Levine’s new collection and meeting other local bloggers! This Betsy Johnson dress (pictured left) was absolutely heavenly! Took a bathroom Us-ie with a new friend and fellow vintage and sequin lover! 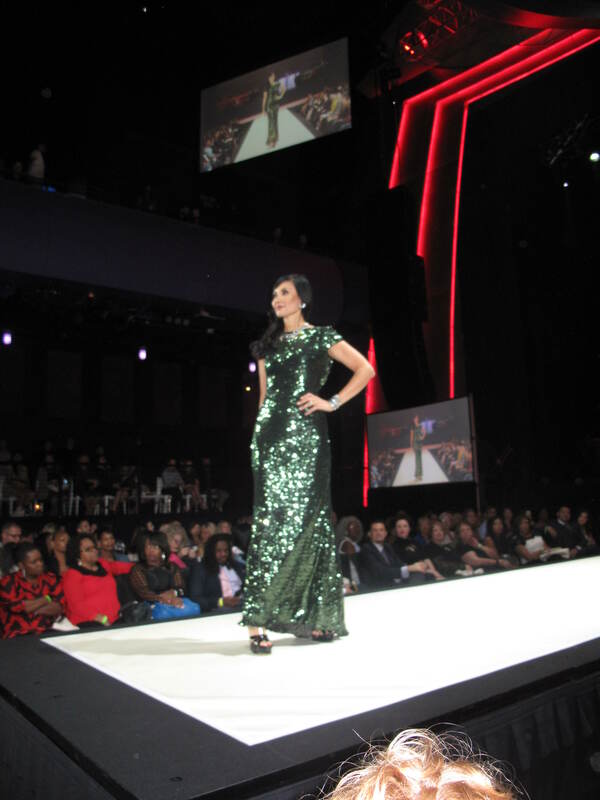 Speaking of sequins, this swampy green masterpiece gave me the chills! A few of models from one of my favorite scenes. Thanks again StyleShack for inviting me to FID!